Need Water Damage Emergency Services Pennsylvania? We ask that you keep our information and phone number handy if you should require Water Damage Emergency Services in any of the Pennsylvania towns and cities listed below. As one of the leading Emergency Services in Pennsylvania, we have witnessed and attended to plenty of water related damage to our customer’s homes and businesses. Until it happens to you, you rarely give a serious thought to the possibility of flash floods or some other water related incidents that occur around the state. Our time and experience in the field demonstrates that there are areas in the state, particular in the mountainous regions, where flash floods are fairly common. You might be surprised at how often local residents are forced to seek higher ground to avoid serious consequences. Have you heard the expression “run for the hills”? That is the safest place for many of our residents to head to when flooding appears imminent or when water levels rise to dangerously levels. Be aware of the possibility of a dam bursting then spilling into the valleys and mountain passes below or of tidal surges during Nor’easters that cause heavy tides, tidal surges, flooding and evacuation. There are a number of other water related emergencies that show up on radar screens and weather maps every day. We are ready for them. As we are also ready to repair water damage from many other internal sources like burst water pipes, water heaters, overflowing toilets, sewer back ups, roof leafs and other unexpected, untimely occurrences that can cause even more damage and problems to your home if not attended to promptly. As specialists in those areas of renovation, we are known far and wide for repairing that water damage before it further inundates your home’s interior structure and contents and becomes a more serious threat to your family health and your home’s condition. These are exactly the types of water problems our Water Damage Emergency Services by Squeaky Clean and Dry is known for repairing.. Secondary damage is another issue you often face if you don’t begin the renovation process quickly. Water damage from floods, broken pipes and appliances, if left unattended, can cause secondary damage. Secondary damage may cause an increase in mitigation costs so the faster you react, the better you will be towards eliminating further mold growth. Water has a way of gravitating into your home’s nooks and crannys, spaces between the floorboards, between walls, and in the ceiling. It will increase the cost of mitigation and repair because of damage to wiring and electrical fixtures and appliances, furnaces and more. Water damage from floods, broken pipes, leaking dishwashers, icemakers, if left unattended, can cause serious secondary damage like mold growth and even the more dangerous black mold. Secondary damage may cause an increase in mitigation costs, so the faster you react, the better. No matter the extent of your water damage, we can repair and renovate it. Don’t let your water damage turn into a more serious mold issue. Beware of the unlicensed, untrained amateur cleaning companies that promise much but are unable to get your rugs, walls, furniture and ceilings completely dry. It takes a pro with the right equipment and knowledge to get the job done. Why risk a flare up of mold? Get the job done right by specialists not from from improperly trained individuals with bo knowledge of how to proceed with emergency water damage restoration. Call Squeaky Clean and Dry for service and we will get your home back into shape. We have a solution for every situation. Unlike our competitors, we are board certified and keep up with the latest breakthroughs and innovations in the industry. Over the years, we have built a solid reputation for our efficient mold inspection remediation programs. You are invited to review the customer comments on our website. We are certain that you will be impressed by what you read. After a flood you would hope that you are not left with the after-effects that could require a call to the area’s foremost Water Damage Emergency Services. The problem may at first seem like nothing but a manageable little puddle in the laundry room or a more difficult 6” deep flood in the basement. Either situation can be the precursor of more serious problems ahead. Let Squeaky Clean and Dry Technicians flooding investigate then cure your leak problem before things get even worse. If you find your home flooded, or about to be, call us as soon as possible at (302) 327-6240. Squeaky Clean and Dry founder Jim Richardson believes that his customers should know who they are dealing with. That has always been the best way of protecting your home from further damage and for insuring that your home and many of your prized possessions will be in good hands. Jim has over two decades or 20 plus years of experience restoring and renovating water damaged homes and keeping them free of mold and odors that often result from improperly reconditioning methods. Jim takes a hands-on approach with his business, so chances are you might see him on site working alongside his employees making certain his crews operate according to the strict quality standards he set in place at the beginning of his business. His company takes great pride in its excellent level of service. To maintain that level, you will often find Him working alongside his crew members so that he can keep in close touch of his procedures to make certain that the quality of service he set is maintained. Getting out from behind his desk and working in the field is a terrific way to maintain those standards. Don’t you agree that the way we go about keeping our lead in Water Damage Emergency Services Pennsylvania is impressive, especially when compared to other companies in our field. All of our technicians are well trained in all of our specialties so that the risk of any of them inflicting other damage is very slight.. In addition to the expert training our employees receive, our company has invested heavily in the type of equipment that is best suited for the job. We own the best equipment and enough of it too get your job done in a timely fashion. We take our business serious. Squeaky Clean and Dry founder Jim Richardson has over twenty years of experience keeping your home maintained after a water catastrophe and free of mold and odors. Jim takes a hands-on approach with his business, so chances are you might see him on site working alongside his employees making certain his crews operate according to the strict quality standards he set in place at the beginning of his business. Servicing Chester County & Lancaster County in Pennsylvania. Call for water damage emergency services Pennsylvania. Water Damage Emergency Delaware, when it rains it pours and when that downpour finally abates, Delaware homeowners are often left with the after-effects that could require a call to the Delaware area’s foremost Water Damage Emergency Services.It could be a simple little puddle in the laundry room or a 6” deep flood in the basement. Either can be the precursor of more serious flooding ahead. If you find your home flooded, call us as soon as possible at (302) 327-6240. Squeaky Clean and Dry founder Jim Richardson has over twenty years of experience keeping your home free of mold and odors. Jim takes a hands-on approach with his business, so chances are you might see him on site working alongside his employees making certain his crews operate according to the strict quality standards he set in place at the beginning of his business. Unlike many of our competitors, we are board certified and keep up with the latest breakthroughs and innovations in the odor removal industry. Over the years, we have built a solid reputation for our efficient mold inspection and remediation programs. and allergen removal program that promises relief from common allergies caused by germs and mold that forms after floods and water damage. When it comes to odor and allergen removal, Squeaky Clean & Dry is unsurpassed. We use the new advanced JUST GONE SYSTEM to completely remove bacteria, mold and allergens from all areas of your home including carpets and area rugs. Don’t take our word for it. Check out the various customer testimonials on our website. We really don’t like to brag about our business, so we recommend that you allow our customers in North Star, Bear, Glasgow, Middletown, Townsend, Marcus Hook, Claymont to tell you about their experience with us. ALLERGEN FREE IN 24 HOURS – GUARANTEED! That’s quite a bold statement, but it’s true. The amazing power of CLO2 can definitely help family members suffering from asthma and other respiratory ailments. Over 50 million of your friends, fellow citizens and neighbors have asthma or similar issues, which can be broken down even further to show that up to 30 percent of adults and 40 percent of children suffer from asthma or similar respiratory ailments. If anyone in your household suffers from allergies, JUST GONE should be an essential part of your home allergy prevention system. Another thing to remember is that odors are often caused by the decay and mold brought on by excess moisture after heavy rain and flooding. If you see standing water, call Squeaky Clean at your first opportunity. CLO2 or Chlorine Dioxide is safe and effective and is not to be confused with chlorine bleach. Our JUST GONE System is effective when used in a number of processes, including sanitization of food processing equipment and to sanitize municipal water systems. What’s that Horrible Odor You Smell? Often after heavy rains, flooding can occur in towns like Greenville, Centerville, Hockessin, Pike Creek, Newark and Wilmington. Drains back up, carpets get soaked, and water settles between the walls and under floorboards. If not dried and treated properly, those spaces become the perfect environment for mold to form and release harmful pollen spores. CLO2 will find the mold which is the cause of your odor, then eliminate it. We are the experts in removing even the most difficult odors from your home, including the following. dogs and cats are notorious for the scents they collect then bring home for their families to admire. The scent of Cat urine, in particular, is enough to make a grown man cry. Dogs are known to roll around in various scents from dog urine to the scent of dead animals or any other scent that happens to catch their fancy. Call Water Damage Emergency Services Delaware. Water Damage Restoration Services in Hockessin DE. Water left to seek its own level will. The wrong level in the wrong location can cause extensive damage to your home. It might come from a sudden spring flood, a burst water line or hot water tank, drain backups, leaky roofs, overflowing toilets – any number of reasons, including the after effects of your fire department’s efforts to extinguish a house fire. The good news is that if you take immediate action with a call to Squeaky Clean and Dry Water Damage Restoration Services in Hockessin DE, you can effectively halt the damage and actually restore your home to its previous condition. That’s a huge claim, particularly if you have ever experienced the effects of a water incident. That water in untreated can result in the spread of dangerous mold spores throughout your home that can actually render your living space uninhabitable. Even worse, your home can be condemned for having dangerous levels of mold spores. Mold remediation & inspection, floods and water damage, odor and allergen removal and our heavy duty professional extraction method of carpet cleaning and moisture removal from carpets and area rugs are what our company has specialized in for over two decades. We continue to fill a unique niche for our customers, one which had never been available in its present form. Old methods were not at all effective in achieving the goal of completely ridding a home or business of the harmful mold and mildew spores that invade a home after a serious water incident. Old methods of dealing with these problems merely dried and masked odors, but never got to the root of the problem, the continued growth of mold which has been determined to be the major cause of our harmful reactions to allergens. As that mold grew and spread, so too did the sneezing, wheezing, swollen eyes and nasal drips common reactions to mold. The success of our company’s state of the art Water Damage Restoration Services in Hockessin DE is The JUST GONE SYSTEM, a recent scientific advancement that safely and permanently kills the mold spores that have invaded your home. Using common elements Chlorine Dioxide CLO2, Just Gone kills the source of mold, bacteria, and spores with no harm to the environment or humans. It is a simple treatment that takes hours, not days to sanitize and freshen a home or any other place where mold has spread. The sanitizing and germ-killing effect of CLO2 has been known for a time. It was the delivery system that had befuddled scientists for ages. The scientists involved in the JUST GONE process found a way to successfully combine and implement the elements into an easy to use, completely safe method to effectively deliver the gaseous substance, CLO2 leaving no residue behind. Squeaky Clean began as a carpet and rug cleaning service. Our system encompass the highest levels of clean, green methods to maximize the results. 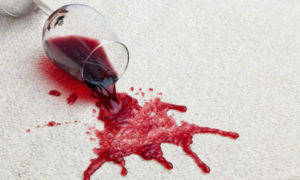 Besides providing an environmentally safe process, our carpet cleaning service does an exceptional job of removing difficult Cat and Dog Urine and other difficult stains From Carpets including red wine stains. The transition and addition of Water Damage, Mold and odor removal to our company’s list of services followed a natural progression into the odor and mold elimination category. The common denominator are the odors that erupt then embed themselves deeply into a home’s inner core. This new product accomplished more than we had ever hoped for and caused us to jump into it wholeheartedly. It was the best and smartest business decision we ever made. Customers are now clamoring for an application of this incredibly effective product. The first and most important step in proper remediation is to discover the reasons why your mold started and where the worst of it may lay undiscovered. In some cases, after flooding or some other cause, it begins in the damp recesses of your basement, then simply creeps up slowly up from there. Perhaps your home’s air circulation or lack of it is the cause. The JUST GONE SYSTEM seeks out those hard to get at places and kills the mold where it has established itself. All the mold, stink and objectionable odors normally associated with athletic facilities can be safely and thoroughly eradicated with a single application of this product in a cost effective, quick, efficient and safe manner. The contents in the locker rooms too wil be targeted and all odors removed. Just Gone has been used successfully in a number of hospital, operating rooms and other areas where germs and contaminants thrive. Using CLO2 can reduce the spread of odors and contagious diseases. AS the usage of public transportation increases, so too do the spread of germs and allergens in the vehicles used., JUST GONE provides a healthier way of transporting people and is proving to be a valuable asset in promoting the use of a sanitary driver- owned UBER vehicles to a growing number of healthy ride seekers. Many ride-sharing passengers will be pleased to ride in a safe, clean vehicle. In the simplest terms possible, a smelly house is not readily saleable. Think about it, would you like living with and in someone else’s smelly home? Smart realtors should have nasty smells removed before putting a home on the market. If not, they should be prepared to take a substantial loss on the property. What Might You Expect To Find In The Air You’re Breathing? Both the owner and the real estate agent could lose a fair amount of dollars in commissions and or owner profits to unload the monster. The air you breathe is full of dangerous compounds that sublimate from their original form and enter the air surrounding us. These compounds are known as VOCs or volatile organic compounds. A good example is a chemical known as formaldehyde which gradually evaporates from paint or carpets and becomes part of the air we breathe. While VOC’s are not acutely toxic, long-term exposure to them can cause health issues. Squeaky Clean and its JUST CLEAN process eliminates the long-term threats of VOC exposure and leaves your home safe for you and your entire family. In this day and age of concerns about the purity of our air, more people have become concerned and are eagerly searching for ways to improve their family’s environment. See more about the benefits of this exclusive Water Damage Restoration Services in Hockessin DE on our Facebook page. If you are buying or selling a home, a thorough examination and testing of your home’s air quality are in order and something we strongly recommend. If you are the buyer, our service provides an easy way to make your new home free of any and all allergens left behind by the seller. What a great way to enjoy peace of mind knowing that your new residence is free of toxins and allergens. If you are the seller, your home will smell fresh and be inviting to potential buyers. Water Damage Restoration Services based in Hockessin DE can have our technicians test the quality of your air and identify any harmful pollutants. Our test extends to areas up to 2000 square feet and can identify the sources of any potentially dangerous chemicals or hazardous air pollutants, including formaldehyde (at a slight upcharge). Air samples will be collected by an independent inspector. The results of your test will give you an accurate measure of your home’s air quality, along with a complete analysis and recommendations on curing the problem. This is a terrific way to clear your mind about any air quality issues you may have and a great way to secure your peace-of-mind at an economical price and the best way to discover any VOCs and active mold growth in your home. As spring approaches, this is the time of year when the weather can have an effect on your health. Moisture and excess water from the area’s stormy, unsettle weather in the Northeast section of the US could have an effect as you transitions from winter to spring. Snow melts, seasonal rains, tornados, showers and many wild weather events can overwork your sump pumps and flood your septic systems, the perfect recipe for a damp, mold filled late-spring and early summer. We ask that residents of our service areas keep a sharp eye out for the first signs of mold and odors in their homes. When you see or smell a problem, don’t waste a single moment. Squeaky Clean and Dry is here to help. Don’t hesitate to call us.